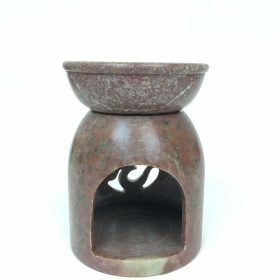 Our Breccia Ultrasonic Essential Oil Diffuser is a great choice. 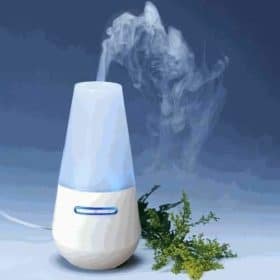 Ultrasonic diffusing is one of the best aromatherapy methods – micro-droplets of cool mist carry the aroma of the essential oils into the air. You’ll love this Breccia Ultrasonic Diffuser. 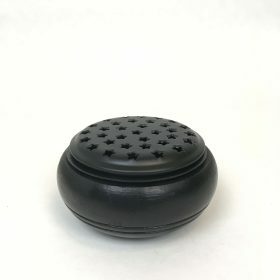 Our Ultrasonic Breccia Essential Oil Diffuser is just the right size, about 7.5″ tall x 4.75″ diameter. Ultrasonic diffusing is one of the best methods of distributing the aroma of essential oils into the air. No heat is used so the natural aroma of the Essential Oils comes through consistently. 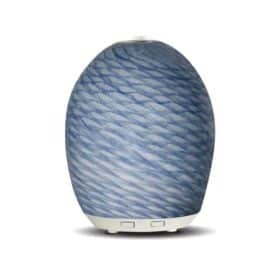 In this aromatherapy diffuser, the ultrasonic method of dispersion is used to change the essential oils to very fine particles, producing a fine mist by high frequency vibration. The light, almost invisible, mist is spread throughout the room. Heat, chemicals or pumps are not necessary. 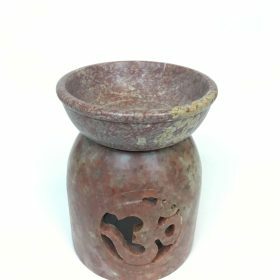 Our Ultrasonic Breccia Essential Oil Diffuser is a safe, quiet, and efficient aromatherapy diffuser. 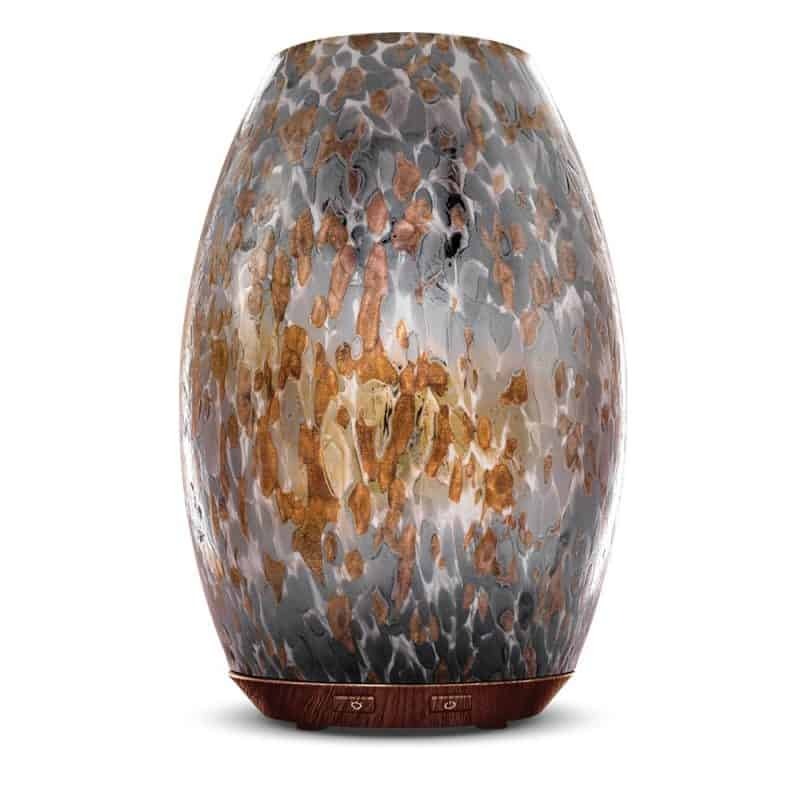 A magnificent design of the Breccia Essential Oil Diffuser is set on hand blown glass with a faux flame. 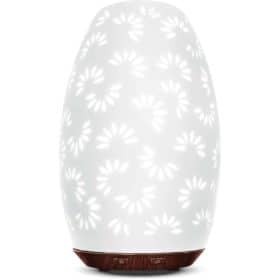 This new decorative essential oil diffuser inspires any room. Stunning warm white and colored rotating light options add to the elevated aromatic experience. 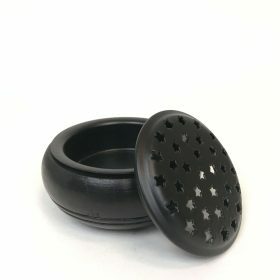 Enjoy an impressive run time of up to 14 hours.